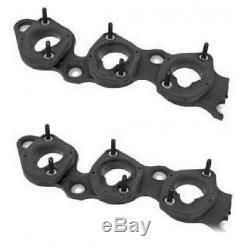 BMW E38 E32 E31 850i Set x2 Intake Gasket Intake Manifold Blocks Genuine NEW. This Listing Includes: 1 x 11 61 1 736 657 Intake Manifold Block (Intake Gasket) 1 x 11 61 1 736 656 Intake Manifold Block (Intake Gasket). 11-61-1-736-657 / 11-61-1-736-656 / 11611736657. The item "BMW E38 E32 E31 850i Set x2 Intake Gasket Intake Manifold Blocks Genuine NEW" is in sale since Wednesday, September 13, 2017. This item is in the category "eBay Motors\Parts & Accessories\Car & Truck Parts\Air Intake & Fuel Delivery\Intake Manifold". The seller is "qeautoparts1" and is located in Miami, Florida.